It looks like Peyton Manning has made the seamless transition into retirement by doing the same things he did while ending his career…turning the ball over. 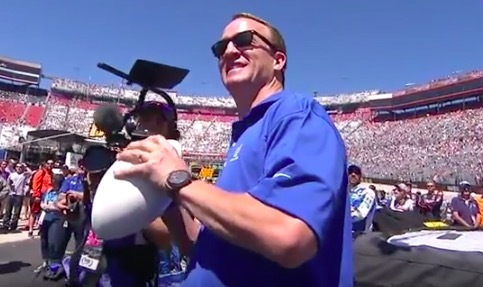 While in pit row at Bristol this weekend for NASCAR’s Food City 500, Peyton apparently geared up to throw the honorary first touchdown pass (which is a thing?) before eventually having the ball stripped by a cameraman’s microphone behind him. Now, was the ball going forward when it was knocked out? We can argue about that all day. But what we can’t argue about is whether or not this was hilarious.